Cancellations cause unnecessary delays to the overall operation of the Paratransit System. If you have to cancel a trip, you must call as soon as possible before the scheduled pickup time. If you call after business hours, please leave your name, telephone number and scheduled trip information on the answering machine. Three or more un-cancelled appointments (no-shows) within a 30 day period will result in the suspension of your transportation privileges for 14 days. You will be charged the $2 fare for all trips you fail to cancel in advance. Severe weather conditions may force cancellation of service. Please listen to radio station 101.5 FM or call (908) 241-8300 for closure notifications after 7 a.m.
We are committed to ensuring that no person is excluded from, or denied the benefits of our services on the basis of race, color, or national origin. 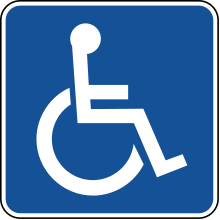 Any person who believes that they have, individually or as a member of any specific class of persons, been subject to discrimination on the basis of race, color, or natural origin, may file a complaint in writing to Union County Paratransit.